Once again on CNN Money’s list of the “Best Places to Live” in the United States, Columbia, Maryland comes in at a very impressive No. 6 out of 781 cities with populations of 50,000 to 300,000. The site bases its ranking son several factors: income, manageable traffic, attractive parks and gathering places, community spirit, and, of course, happy residents. The residents of Columbia are happy for a number of reasons. For starters, they live in Columbia: good schools, good jobs, and beautiful homes. However, without proper maintenance, homes can begin to lose their curb appeal over time. And that doesn’t make anyone happy. So it is important to stay up-to-date on maintenance and repairs, especially when it comes to your wood deck. Wood Deck Repair or Replacement? With regular maintenance and timely repairs, the average wood deck will last somewhere between 10 and 15 years, maybe longer. However, without regular sealing and staining, your wood deck will not be able to properly repel water. In layman’s terms, your wood deck will not last. Period. When moisture is allowed to penetrate your wood decking, it will accelerate the aging process, lead to woot rod and eventual structural failure. Of course, there comes a time when repairs will no longer cut it. There comes a time when it makes more sense to replace your deck. But when? If your current deck is old and showing signs of wear, call Freedom Fence and Home to evaluate your decking needs. You may be overdue for a deck evaluation from Freedom Fence and Home. We will evaluate your deck and make recommendations: repair or replacement. Don’t worry; deck replacement is affordable and can be completed within a day or two. With 40 years of experience, Freedom Fence and Home has provided the highest quality fence and decking services to its many residential and commercial clients throughout Baltimore and Harford County. 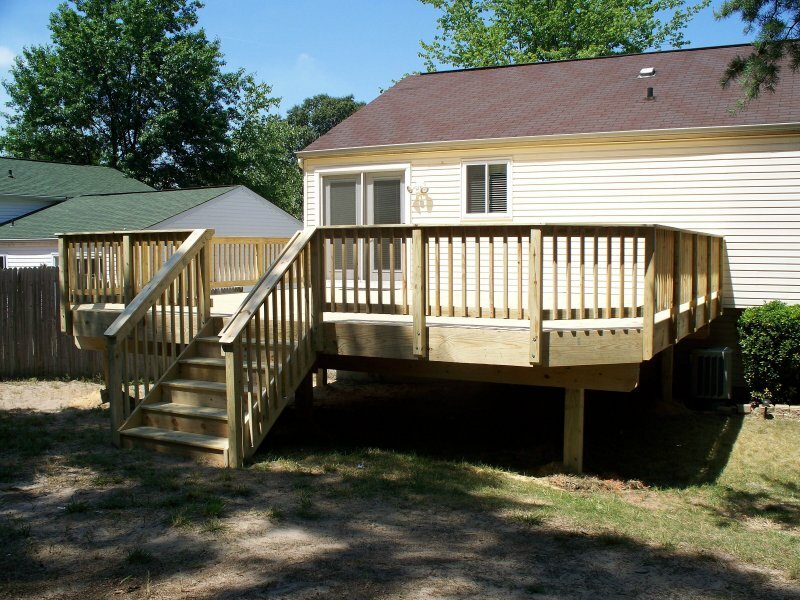 We have successfully completed hundreds of deck replacements throughout the Columbia area. Our representative will review your choices of deck replacements – hardwood, PVC decking, or composite decking – and offer insight and advice based on years of experience and knowledge. If you have any questions about Deck Replacement and Repair in Columbia, please contact Freedom Fence and Home by calling 443-271-6841 or visit our website. You can also follow us on Facebook and Twitter! This entry was posted on Wednesday, October 8th, 2014	at 3:44 pm	. Both comments and pings are currently closed.